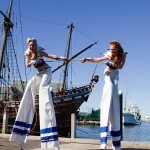 Seaside Stilt walkers - ""
Ahoy! 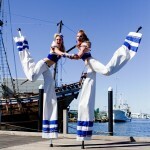 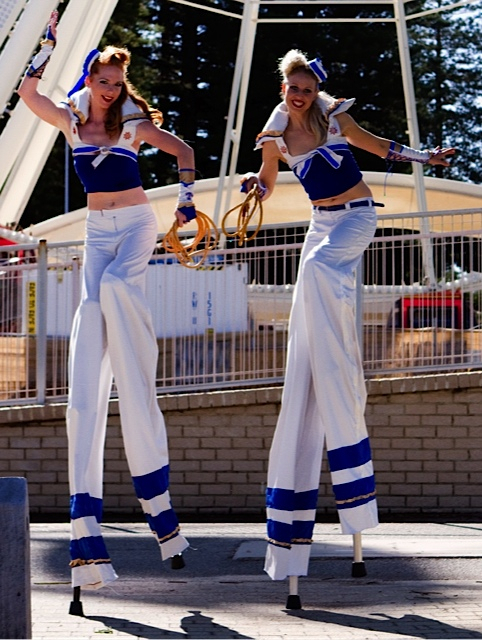 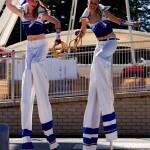 Perth Seaside Stilt walkers bring fun and energy to your event. 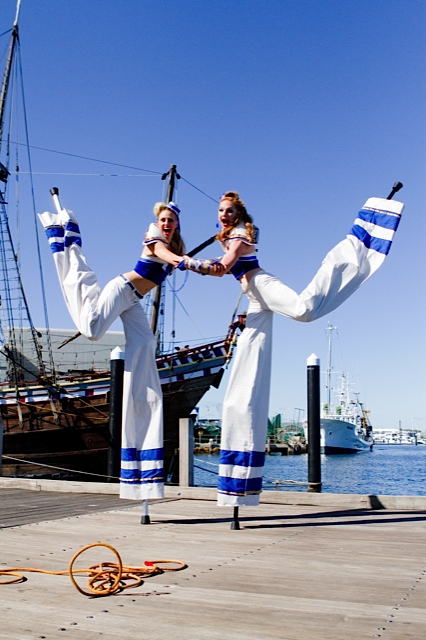 Whether it’s a beach, swimming or general family event, bring the freshness of the sea & the heart of the land to any function with these fantastic interactive artists. 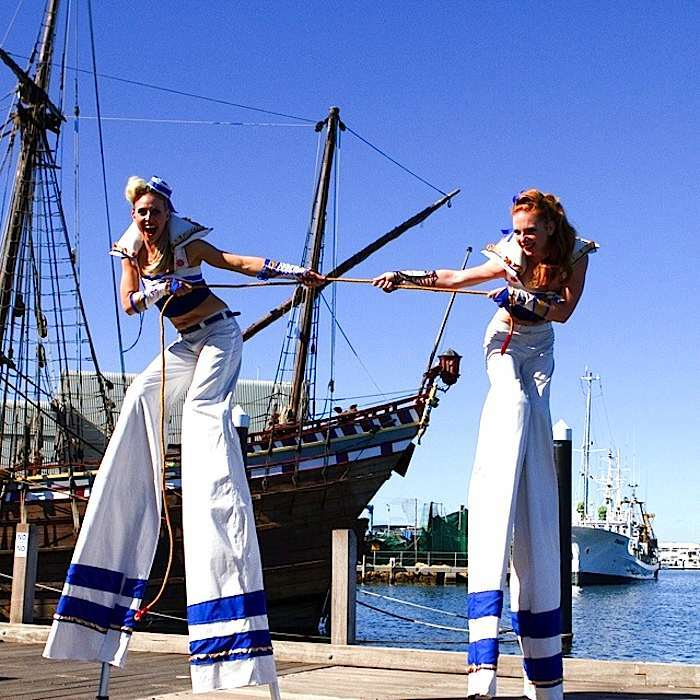 Towering above the crowds the Seaside Sailor Girls are performed by some of Perth’s leading circus performers who tour nationally and internationally.